Every good designer needs an arsenal of brushes to use within photoshop, whether its a grunge effect or some tehno swirls that are required there is sure to be a brush that fits your needs. Here The Tutorial Blog has dugg out the very best they could find. If there isn’t a suitable brush, we have also included some links on how to create your own. Neil Ross is a production illustrator, designer and art director. He has worked extensively in film and television, contributing to projects including Braveheart, Space Jam, An American Tail 2, Pinocchio, Tarzan 2 and numerous commercials. 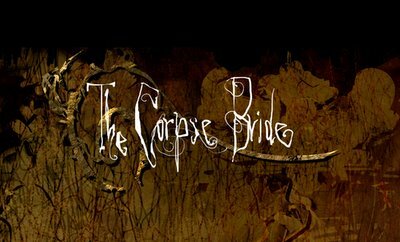 Some of his concept art for The Corpse Bride is posted on this Blog. Tony Wright works in the film industry as a storyboard and concept artist. Some of his credits include Harry Potter, Cold Mountain, Star Wars: Episode I, The Avengers, Lost in Space, to mention only a few. In the past he was working as an illustrator for magazines such as Melody Maker, The Times, The Observer, The Mirror and a selection of other periodicals. Some of this work is published on his blog. 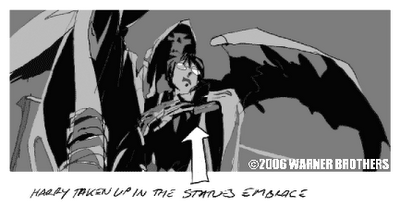 Here is a storyboard sequence he did for HARRY POTTER & THE GOBLET OF FIRE directed by Mike Newell. It is a version of the final sequence in the graveyard, where Harry is ensnared by Wormtail in preperation for the reinvigouration of Valdermort.